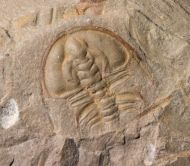 Here is a classcal Utah Trilobite of the species Asaphiscus wheeleri from the Wheeler Formation. 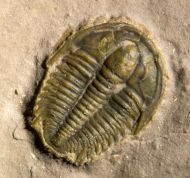 Here is a large and relative rare trilobite of the species Bathyuriscus fimbriatus from the Marjum Formation of Utah. 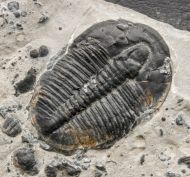 This is a Weeks Trilobite double from Utha with two specimens of the species Cedaria minor. 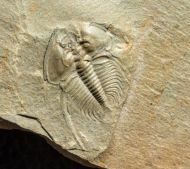 This is a classical Ohio Trilolobite of the species Eldredgeops rana milleri from the Silica Shale. Here is a good and relative large Trilobite of the species Elrathia kingi from Wheeler Formation of Utah. Here is a classical rilobite of the species Elrathia kingi from Wheeler Formation of Utah. 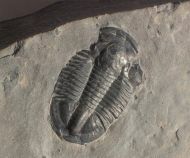 This is a inexpensive specimen of a Nevada Trilobit of the species Nephrolenellus geniculatus from the Pioche Formation. 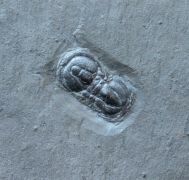 Here is a inexepnesive Trilobite of the species Olenellus gilberti from the lower Cambrian of Nevada. 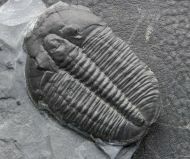 Here is a beautiful and inexpensive example of a Nevada Trilobit of the species Olenellus gilberti. 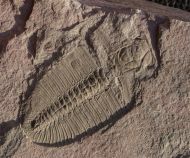 This is a detailed aghnostid trilobite of the species Ptychagnostus atavus from the Pierson Cove Formation of the Drum Mountains in Utah. 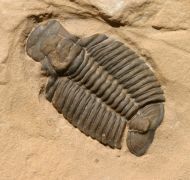 This is a piece with servile Nevada Trilobites of the relative rare species Syspacephalus various from the Emigrant Fm.. 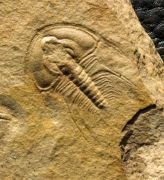 Some of the specimens are preserved as negative.